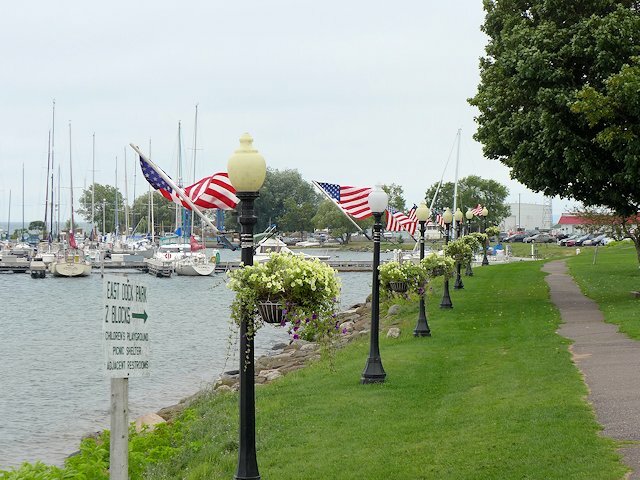 Taking a stroll along Bayfield’s waterfront park. The seaside village of Bayfield is about 10 miles north of Washburn. Artisan shops abound in and around town as well as lots of neat places for dining and beverages. Plan to spend at least a few hours in town walking around. You could easily alot a day or more here with Orchard tours, excursion boats around the Apostle Islands, taking the ferry to Madeline Island, and other entertainments. Dalrymple Park – Wooded RV and tent sites, electric, reasonable price, lake views, walking distance to downtown. 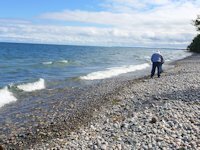 The private KOA Apostle Island View campground is clean and well-maintained and is a good alternative for RV-ers or tent campers wanting to spend two days or more in the area. If you have an hour to spare, take a short side trip excursion from Hwy 13 going north on Cty K about 6 miles to Little Sand Bay. It’s a quaint community, affords a nice view of the lake and an attractive picnic area. Also there is the Town of Russell Campground (Wooded sites, suitable for tents or smaller RVs; electric hookups). Adjacent to the park is Little Sand Bay Apostle Islands Visitor Center that includes an Apostle Islands exhibit, a marina, swimming beach and a restored family commercial fishing facility (self-guided tour). Kayakers use this site and Meyers Beach as beginning and ending points for tours of the peninsula’s famous sea caves. 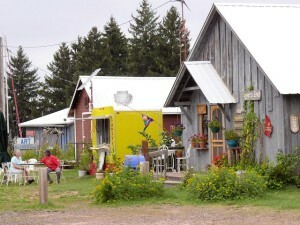 “Cornie” is a cute little fishing village about 18 miles from Bayfield. It’s worth at least a half hour of your time to look around and we have spent more than two hours walking along the lake and to and from “downtown” Cornie. 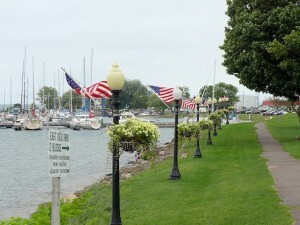 Very attractive harbor, with a few artisan shops along the river entering the lake. Nice town park, with a beautiful sand beach and an artesian well. We get our fresh Lake Superior Whitefish from Halverson’s fish market at the Marina. There appears to be a few drive-in informal camping spots at the marina, but the official campground is at Siskwit Lake a few miles south of town. Was told the sites are attractive but rustic. The Village Inn offers an attractive dining atmosphere and lodging. We’ve not stayed at the Inn but have eaten there and loved their “meal-in-a-glass” Bloody Mary. For travelers doing a loop from Washburn, you pick up Cty C going south near the Village Inn and will be back in Washburn in about 35 minutes. We usually stop in Superior for about a half hour to walk the dog and stretch our legs on a portion of the Osaugie Waterfront Trail. If not in a rush, we take a longer walk. 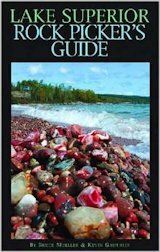 Other times we have spent a day or more in the area, at either of the two nearby State Parks and driving around exploring the territory south of town along the St. Louis River. While it suffers from being the disadvantaged twin of Duluth (a city that it is easy to spend a couple of days exploring all it has to offer), there are some interesting things to see and do in Superior.